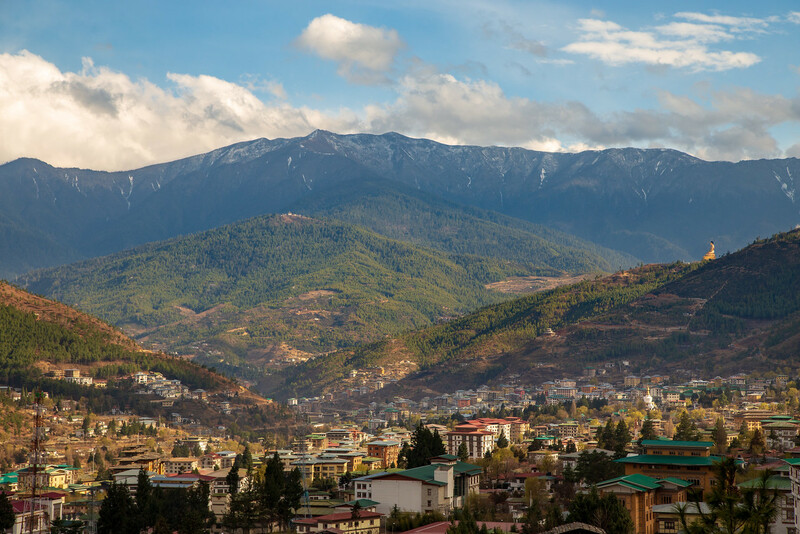 Overlooking the southern approach to Thimpu, the capitol of Bhutan, the Buddha Dordenma will, at 169 feet, be one of the world’s largest bronze Buddha statues. 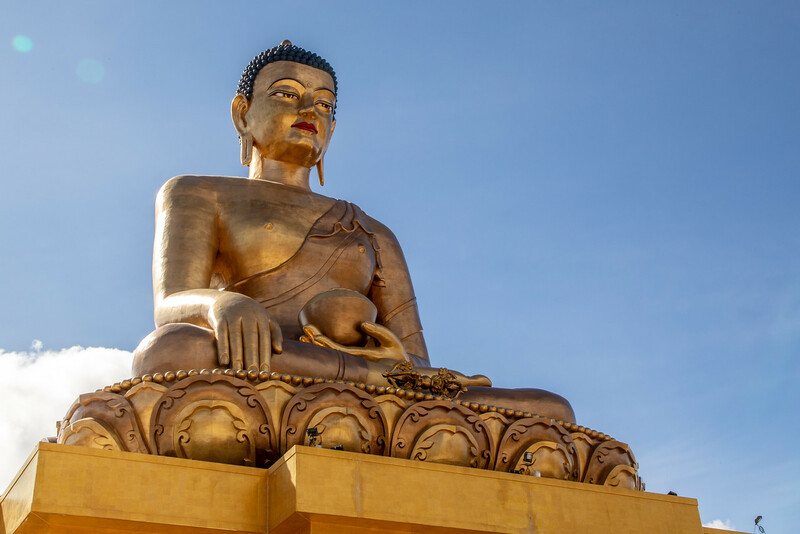 The colossus is built to contain over 100,000 8- inch-tall and 25,000 12-inch-tall other smaller bronze Buddha statues. 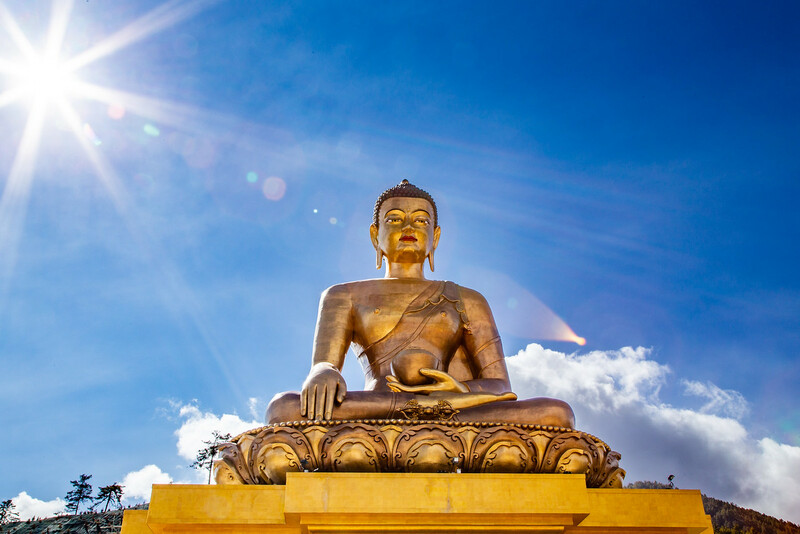 This beautiful Buddha statue was built to commemorate the centennial of the Bhutanese monarchy and bestow blessings, peace and happiness on the world. The Buddha Dordenma Statue was made in China and brought into Bhutan in pieces by truck. It must have been an interesting sight to watch the trucks arrive. The road up to the giant statue which is now known as Buddha Point is now a popular biking route. 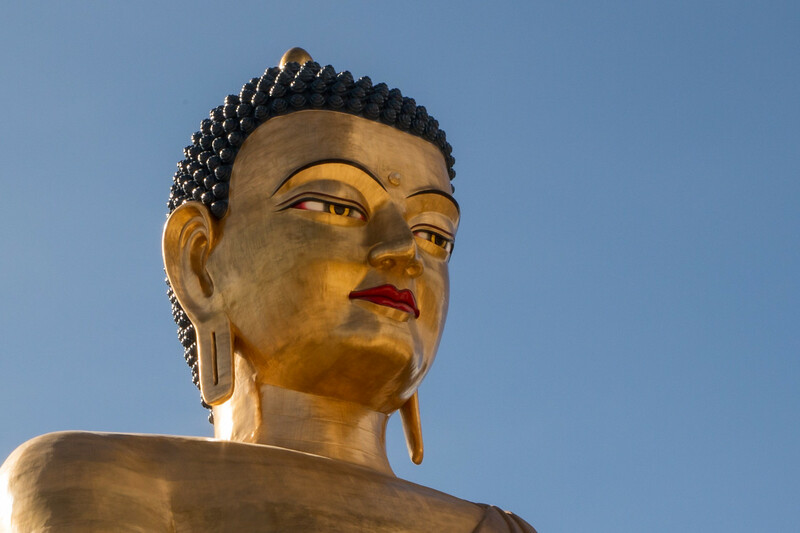 A visit to this Buddha is included in most tours to Bhutan. I made these images with my Canon EOS 6D 20.2 MP DSLR with the Canon EF 24-105mm f/4 L IS USM Lens. A spectacularly gorgeous photo of Buddha. Really like this it.